This is a bit off topic but relevant, nonetheless. I was talking to some acquaintances about the upcoming US elections and somehow the topic turned Mexico, Guatemala, and finally to Che Guevara. My friends said: “Che who?” I almost fell over but, due to my extensive Marine Corps sensitivity training, instead I replied with a loud and derisive: “What the Hell!? Are you kidding me?! 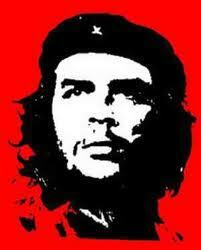 You don’t know who Che Guevara is? !“ I didn’t really say that, but I should have 😉 How can any American now know about Che Guevara? Again, I digress…You can read about him here. The point is that it is important when marketing in today’s interconnected world that you conduct basic research. It is easier to offend today than ever and 10 minutes on Google will save your company a ton of headaches. A company like Nike should have had at least one person do basic research to understand to what, if anything, Black and Tan referred. Their little misstep created a significant issue for the company. A little research goes a long way.